The study of Buddhism. We'll discuss the daily practice of Buddhism and what the Dharma means to you. Establishing a daily practice alone or with a group. Mission to help as many sentient beings as possible find their way to THE PATH to obtain Enlightenment. The Buddha's teachings are the truth you only have to discover them for your self. Since we study Dharma, the motivation must follow correspondingly. This is because Dharma is not just studied in order to know more, or to get more knowledge. Dharma is studied to obtain a concrete gain; and not just any gain, but a far-reaching gain from which we can profit from for all time. How can we achieve such a far-reaching gain? We achieve this goal by understanding what the actual roots of our happiness and suffering are and by transforming them. On one hand, if we do not understand the actual causes for happiness and suffering, and on the other hand, if we understand them, but do not bring about the necessary transformation, then it will not be possible to achieve that far-reaching and lasting gain, despite whatever other means we may employ. What are the actual causes for happiness and suffering? These are explained in the Dharma, and how we can directly deal with them and change them is the essence of Dharma. This is also the reason why the study of Dharma produces a tangible and lasting result. However, if one considers Dharma activities as something that has little to do with real Dharma, or if one approaches Dharma wrongly, then there are risks and dangers that one's efforts will be in vain. In this case, instead of bringing concrete, beneficial results, one will end up wasting much time and energy for nothing. When we get involved with real Dharma in an unmistaken way, there is nothing that could produce greater results for oneself and for the sake of others. As already said before, the ultimate goal and central core point of the Buddha Dharma are the beings, and nothing else. Some people may think that the actual central point of Buddhism is Buddha or Nirvana, the freedom from cyclic existence, or the calmness of the mind. But this is not correct. All of these are surely very worthwhile achievements, but the central point of the Dharma is benefitting the sentient beings. When we talk about the state of an Arhat, this describes a situation of the beings. When we speak of Bodhisattvas, this also describes a situation of the beings. 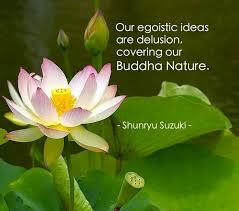 When we speak about Shunyata, this is still a description of the situation of the beings in a deeper sense. Thus, there are many different terms in Dharma, and all of them have a direct relation to the sentient beings. Therefore, all the teachings and practices of Dharma are directly related to the situation of the beings. Since there are beings, there is Dharma, and for them it is useful and necessary that Dharma exists. If there were no beings, there would also be no need for the Dharma; the Dharma would have no use. In this way, we see that the central point of Dharma is neither a god nor nirvana; rather, it is just the beings. Even Buddha is not the central point. This is because Buddha is something that is born out of a sentient being and not vice versa. Buddhahood is also attainable only by the beings and in dependence upon the beings. The beings do not come into existence in dependence upon Buddha, but Buddha comes into existence in dependence upon the beings. Thus, they are the central point of Dharma. This is one of the most important points of the Buddhist view, and it is essential to understand it correctly. As long as the delusions are present in our mind, we are a typical samsaric being of cyclic existence. As soon as we have removed delusion from our minds, we get freedom from the chain of Karma, Klesha, and suffering, thus attaining Nirvana: the state beyond sorrow. This does not at all mean that we stop existing. We continue to exist but in a state of full freedom and lasting peace. In addition to that, when even the subtlest imprint that the delusions left on the mind are completely removed and all the qualities of the mind such as wisdom, compassion, abilities, and actions have been fully perfected, we speak about the attainment of Buddhahood. It is also important to understand the fact that Buddhahood is a state of mind and not something like another world, or a state somewhere high up in space. Although we use the English word "enlightenment", it is not something that necessarily has to consist of light or be luminous. None of these are the meaning of Buddhahood. Buddhahood is the state of a being when all the obstacles from the largest up to the smallest have been brought to a total end and all virtues or wholesome qualities have been developed to the level of perfection, infinity, and spontaneity. 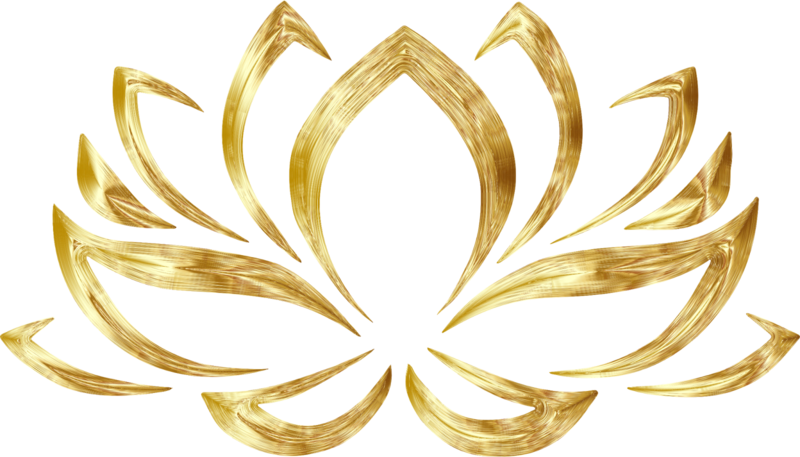 That is also shown by the very Sanskrit word "Buddha", which means "fully awakened" or "fully blossomed". Additionally, we have to understand that the teachings given by the Buddha have various aspects. There is not just one Dharma that exists regardless of its being suitable for the beings or not; rather, according to the various capacities, characteristics, and needs of the beings, there are corresponding teachings of the Buddhas. A person who understands this point correctly cannot become fanatic about one specific form of Dharma. When this point is not understood, the ignorance in one's mind creates a sense of strong attachment and of fanatic adherence to a certain aspect. Due to such a view, there is the danger to develop fanatic sectarian views. Such false views will be the source of disputes and conflicts. Another special quality of the teaching of Buddha is that the validity of his teaching and the worthiness of its practice are established on the ground of a sound logical basis and personal experience. It is not judged in terms of a teacher's status such as racial origin, physical shape or colour, age, social rank, titles, popularity, etc., but rather on the basis of the accuracy of the meaning, of the correspondence to reality and of the positive effects on the minds of the seekers. When the meaning is illogical and lacking real essence, it doesn't matter who teaches it and in what eloquent or poetical manner it is taught; it is of little use for a Dharma-learner and practitioner. Therefore, blindly believing and following anything that is taught is not the right approach. The Enlightened One has pointed this out very clearly when he said: "Oh monks and wise men: just as a gold seeker examines the gold through burning, cutting, and rubbing, likewise evaluate my teachings and then accept them, but not just out of your respect to me”. This heartfelt seeking of these indispensable teachings helps in what is called TAKING REFUGE (Triratna Sharañā Gaman) in the THREE JEWELS! With this pure attitude all practice of Dharma begins. When we speak about Buddhism we refer to an extraordinarily vast and deep subject. I have learnt but a single drop of this great ocean of knowledge, however I will share here a short, introduction to some of the fundamental points of the Dharma. Most might know that Buddhism is one of the great World Religions and that it traces back to Buddha Shakyamuni, who was born in Lumbini (Nepal) over 2500 years ago. Many of you will also probably know some of Buddha's great deeds, as it would take too long to describe them all. At the age of thirty-five, Buddha manifested the attainment of full enlightenment; then, he lived on until the age of eighty-one. From the attaining of enlightenment until his Parinirvana, he spent most of his time sharing and teaching. The first teaching Buddha had given was on the Four Noble Truths: the Noble Truth of Suffering, the Noble Truth of the Cause of Suffering, the Noble Truth of the Cessation (or Liberation) of Suffering and the Noble Truth of the Path to End Suffering. After that, he covered a variety of teachings, always in accordance to the needs and mental dispositions of his disciples. 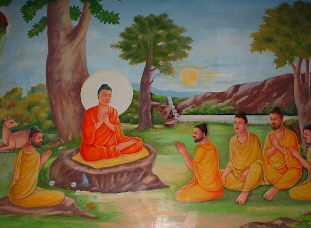 At first, these teachings of Buddha spread widely in India. Tibetans were first introduced to the Dharma in the seventh century of the western calendar; and, immediately recognising its extraordinary value, they applied great efforts into bringing the doctrine to their home country. Many travelled to India in order to study Buddhism there, and some outstanding Indian Buddhist masters were also invited to teach in Tibet. Briefly, the actual central point of all Buddha's teachings focuses on all living beings, also known as sentient beings (Sattva or Prāñin). It is neither about Buddha the man nor attainment of supernatural powers, nor is it focused on any kind of god or philosophical theme. None of these are the central point of Buddhism, but sentient beings, those endowed with life. Especially referring to those who have mind (Citta or Mana) or consciousness. What are the characteristics of beings endowed with consciousness? Such beings’ minds allow them to perceive, acknowledge and understand, as well as experience happiness and suffering. In the range of existence there are many objects with no mind; thus, such objects, such as automobiles, are unable to undergo the experiences of happiness and suffering. Sentient beings have minds and feelings of happiness and suffering. We human beings are not the only ones who have this characteristic: there are many other beings who feel just as we do, regardless of their outer forms. Thus, practicing a religion is an effort directly related to these experiences. Since beings with a mind have the quality of wishing for happiness and trying to avoid suffering, we can speak about the necessity and value of a religious practice. Without relation to the sentient beings and their feelings, religious practice has little meaning. I do not think this is merely a characteristic of the Buddha's teachings, but an actual goal shared by every religion. If we summarise the practices of Buddhism, we can speak of view (Dristi), conduct or behaviour (Charyā), and meditation (Bhāwanā). These are the three aspects of Buddhist practice. For any valid Buddhist spiritual practice to be complete, it must contain these three aspects. That is why it is so important and necessary to act in a correct and beneficial manner and to avoid destructive behaviour. What is beneficial and what is destructive? Actions that directly or indirectly cause suffering for oneself and others are destructive. Actions that bring true well-being to oneself and others, are beneficial. Therefore we should avoid harmful actions and engage in beneficial ones. This is why ethics are a very important point in Buddhism. According to the level of development in one's mind, there are different levels of ethics, but (Ahimsa), the absence of harming; to not inflict harm, is the root of them all. We should absolutely avoid harming the lives of others by use of our body, speech, and mind. To remove all intention of harming others and to help them as much as we can is the meaning of ethics in Buddhism. In order to eliminate all harm and to help others in the most complete way, we need to fully eliminate our ego. As long as your ego is not completely eliminated, it will not be possible to avoid all harm to others nor benefit them completely. Thus, making the ego one of the greatest mistakes that we want to challenge, overcome and eliminate. But it is not an easy delusion to eliminate. There are many degrees of an ego, from the very egotistical level down to the very subtle. We might be able to control the very overpowering ego for some time, but in order to eliminate all forms of ego down to its subtlest levels, we have to train ourselves into that direction for a long time. This is why having a pure conduct or correct behaviour in Buddhism are essential points. If, for example, we want to build a house, we will need the ground on which to build the house, and a stable foundation. We will then also need construction materials such as bricks and wood. Once we have the ground and the materials, we can start the actual building of the house and progress day by day. In the same way, we need the basis of good ethics, just like we need the material that comes from pure view. Once we have both, we can start the actual building of the house with meditation, which is the actual development of training the mind. So how Important is Meditation to Buddhist Practice? If we are to follow the path of meditation, we need to seek proper instructions of meditation so that we can walk correctly on the path of meditation and reach its goal. 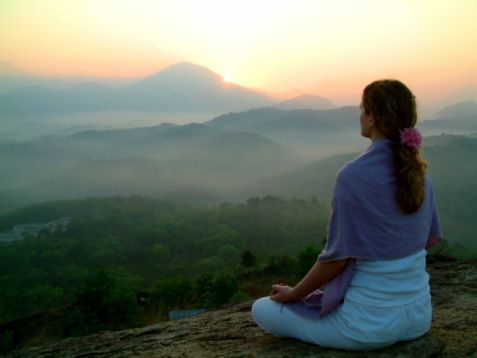 There are different types of meditation practice's. With today's technology it is easier than ever to explore the different types of meditation. When we build a house, we need to follow the guidelines of a qualified architect. If we start construction without the aid of qualified people, it will be likely to fall apart sometime soon. Therefore, if we want to construct a building in our own mind, it is good to investigate different meditation practices and teachers who are experienced who can instruct us. The internet is a great resource to explore the many different types of meditation. Many people think that meditation is mere relaxation of the mind, but this is by no means the real meaning of meditation. Meditation is a goal-oriented training and educating of the mind. It is something active: instead of relaxing, it is more like a battle in one's mind. In meditation we try to build up something on the mental level, but there are many mental factors that arise as obstacles to prevent this. For a beginner, this would lead doubtlessly to a heavy fight. But it is only by practice – and not by spending our time being sleepy and lazy – that we can accomplish something. To practice meditation correctly is the best method to increase and promote the extraordinary qualities of compassion in our mind and to develop the wisdom, clarity, and generate pure love. To practice meditation, first, it is necessary to have a corresponding knowledge (Pragyā). There are three types of knowledge: knowledge from hearing or learning (Shrutimayi Pragyā), from reflecting (Cintamayi Pragyā), and from meditating (Bhāvanāmayi Pragyā). First, we have to acquire knowledge through learning, which opens the door of understanding the points of the practice. Then this knowledge can be deepened, leading to firm conviction, by reflecting in a clear and correct manner. This knowledge can be developed into an even deeper understanding, which leads to a direct realisation through the practice of concentrative and analytical meditation. I will cover more on this subject in greater depth at a later time. For now l will give some further descriptions of the first of these three points: the view of Buddhism. One of the most important points of the view of Buddhism is the description of the mind. This is because, as we mentioned at the beginning, sentient beings are the central point of Buddha's teachings, and the mind is in direct relation to beings' experiencing happiness and suffering. Buddha has made it clear that the actual root of all our experiences of happiness and suffering is in the mind. This way of looking at things does not correspond to our usual, spontaneous way of thinking; rather, we usually believe that the causes of our happiness and sufferings are somewhere out there. When we experience happiness and suffering, we usually blame other people or outer conditions. We think: Yes, I experienced this because of him; it is his fault. Or, we think that the cause of our experiences lies in our country, the house we live in, or that our problem is all the neighbour’s fault. These are usual reactions when we experience happiness and suffering. Some people have particular ideas and hold invisible forces to be responsible for their sufferings: they imagine that the experienced suffering is inflicted by an evil entity. In short, they have a view that sees the causes of their suffering as lying outside. Most people see an enemy as the cause of their suffering, and whenever suffering arises, it is accompanied by the thought: “It is entirely this enemy's fault that I have to undergo such misfortune”. With regards to happiness we have a similar opinion, seeing outer objects as the causes for our happiness. The source of happiness is "he" or "she", money, a new object that we acquire or a new philosophy that we turn to. In such things we see the sources of our happiness. And some people, again, have somewhat strange ideas and think that good spirits or good fairies provide them with happiness. All these opinions point to the causes of happiness and suffering outside. There is no doubt that sometimes these outer objects can work as a factor for happiness and suffering. However, we consider these as the very cause of our experiences, while in fact, they are not. Outer objects like the weather can certainly be triggering factors for our experiences, but the real cause of our happiness and suffering – as was clarified by Buddha – is not outside our mind, but within. The outer factors can change. 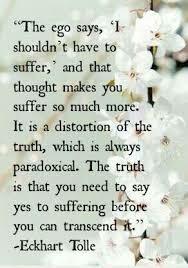 A factor which at once generated happiness can transform into one that causes suffering, and vice-versa. And a person who is a factor of happiness for one can be the cause of suffering for another. And he who was a factor of our wellbeing in the past can transform into a factor of suffering later on. Such changes are always occurring. Thus, enemies become friends, and friends become enemies. For many people, eating chili peppers is a factor of blissful experience; while for many others, eating chili peppers can become an indescribable suffering. For some, eating sauerkraut means pure happiness, whilst for others this is not at all the case. What are these actual causes for suffering? They are nothing mysterious or unknown to us. Rather, they refer to states of mind like greed (Rāga), jealousy (Ishiryā), anger (Krodha), pride (Abhimāna), avarice (Matsara), and so forth: states of mind we all know very well. The root of all of these are self-grasping ignorance (Ātmagrha) and self-cherishing egos (Ahampriye): thus, ignorance and our own egos are the actual roots of suffering in our mind. As long as these factors of the mind are present and strong, we will have to experience suffering, even though we wish to be free from it. Even when exposed to a very pleasant setting, the egotistic person will never be truly happy or experience real well-being. Wherever such a person goes, others will always appear as a negative factor and every place will be experienced as unpleasant because objects will mostly be considered dissatisfying. Such a person can be with anyone, go anywhere, use anything, but nothing will really bring happiness and contentment. As one Venerable Master used to say, an intensely selfish person can be compared to someone whose whole body is covered with wounds. He will not feel well anywhere. Wherever such a person sits or moves, pain will be felt. Whenever touched, it will hurt. On the other hand, the actual causes for happiness, the states of mind such as contentment, satisfaction, pure selfless love, sincere compassion, patience, true wisdom and cherishing others, are also in one's mind. These are states of mind that represent the real, actual causes for happiness. If these factors are strong in one's mind, then we will undoubtedly feel well when the outer circumstances are agreeable, but even when finding ourselves in adverse outer conditions, these strong inner causes will enable us to remain undisturbed. When someone manages to rid his mind completely from anger and hatred, there are no more enemies in the entire world. This is because "enemy" is a label, a designation produced by our own mind. As long as anger is present in one's mind, there will be plenty of outer enemies. These actual roots of suffering are called Kleshas in Buddhism, a term that is often translated as delusions. These delusions can temporarily manifest very strongly in one's mind, but they can still be removed. Everyone has the prerequisites to completely remove delusions from the mind by application of the right means. This is the reason why Buddhism emphasises ignorance as the root of all mistakes. To fully describe ignorance, we would need more time, but I'll try to describe it briefly. We know different things: we know ourselves, other people and different objects. We know these, but the way we understand them does not fully correspond to reality. There is always a factor of projection that is faulty and does not correspond to reality. And this is what is called ignorance. Greed, hatred, jealousy and so on all have their root in this ignorance. Now, what is the mistake we make when we perceive things, ourselves, and others? We, the others, and all objects actually exist interdependently and in an interrelated manner, but we see all these objects as if they existed in an independent way. 38 Buddhist Wisdoms is based on the Mangala Sutta, the Discourse on Blessing. It's one of the most popular and widely practiced Discourses by Buddhist throughout the world. It is a comprehensive summary of Buddhist ethics and practical wisdoms. 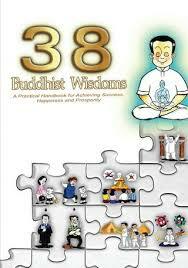 38 Buddhist Wisdom forms a complete body of knowledge of Buddhism that is easy to apply to everyday life. This a great place to start, if your wish is to know Buddhism. It is written for the modern reader, presented in a short and concise but comprehensive format. Making use of simple language that is easy to read and understand. 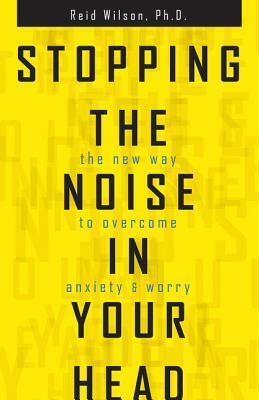 The author brings us back down to earth with a roadmap to differentiate between the distracting noise clutter in your head and signals from life that require a take action response. Anyone who struggles with anxiety, racing thoughts, and other related mental illnesses will surely benefit from reading this book. The only things I didn't like about the book it can become a bit repetitive, and is a little too lengthy. But has a lot to offer anyone who reads it. I am not paid anything if you purchase this book. I am providing a review of this book in exchange for a free review copy of this book through netgalley.com . If you like to purchase this book, click me! Simple things and how they can effect our practice even as a Solitary Buddhist. Candles, ooooohhhh...... How a dimly lit room can effect ones mind and imagination. Helping to create a wonderful environment to try and control the Illusions and Delusions controlled by our ego and out of control minds. What or How do you bring yourself to the illusion of bliss? Triad and Dalai Lama ??????? The practice of all the Bodhisattva's is to study, reflect and meditate, Tirelessly, day and night, without ever straying into idleness. In order to free oneself and others from this ocean of samsara. Having gained this supreme vessel—of a free, well-favoured human life, so difficult to find. with good motivation, even before we sleep. When you do sleep do it for the benefit of others. Wakeup for the benefit of others; go about your day for the benefit of others. Whatever actions of body, speech and mind that are done, base it on Dharma and the purpose of benefiting others. But to practice something requires one to first acquire the knowledge. Which explains the very first words of advice given, the practice of all Bodhisattva's is to study, contemplate and meditate. Voted number 49 in the 50 Buddhist Blogs on the internet. This is great! Would like to thank all Followers of this Blog, Twitter, and Facebook accounts. Would not be possible without all of you. Within this world, the most powerful obstacle or negativity is known as the grasping of self, the "I", or the ego. When one just thinks of "I" and has that kind of strong ego and pride, then within that kind of mind-stream it is very difficult to have any dharma teachings and practices. Pride or the ego is like an iron ball which pulls us down. If we carefully investigate ourselves, we will not find an "I" existing in reality. We think, "I am," and "He is," or "She is," but when we examine truly, these are not existing in an absolute sense. For example, we may think of our body as "I," but when we investigate we can see that the body is not the "I." The "I" feels happy, the "I" suffers, the "I" has this pain and sickness, and then the "I" dies. But when at death the five-aggregates of our physical bodies die, still our external body is there, but it no longer has all those kinds of experiences of happiness or pain. For example, when the dead body burns in the fire, it does not feel the heat at all. When it is buried under the ground, there is not any kind of feeling either. Even when it is eaten by dogs and vultures, there is no pain at all. When death happens, all the pains and sufferings associated with the body are no longer there. We are Not our Bodies - but it is Still Important to Know we are Beautiful.